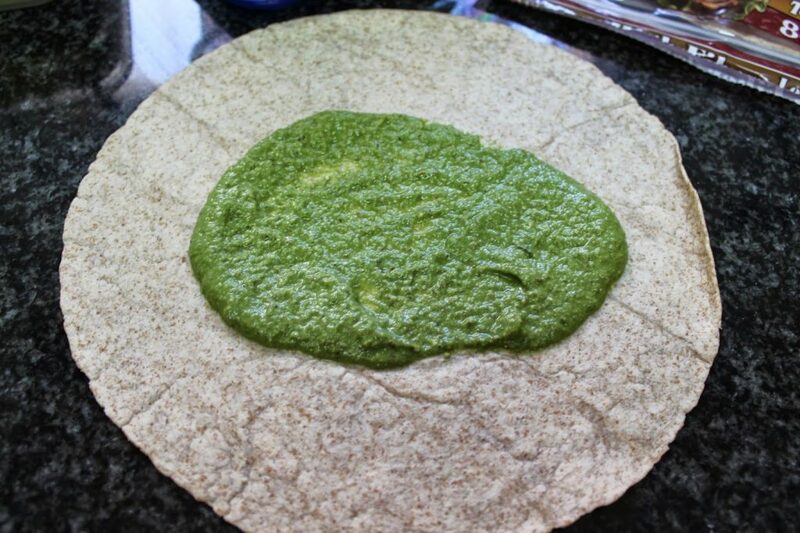 Grilled Veggie Pesto Wrap - No Way That's Healthy! If you have seen my Facebook post from last week you will know that I was having a hard time getting my salad washed and prepped (water was turned off, long story…). Good news is, you do not need to eat a salad to get in your vegetables. Eating veggies does not need to be boring. If you like salads, great! But if you don’t then this recipe may be perfect for you. It may look like hard work but it is super simple to do, delicious and good for you. 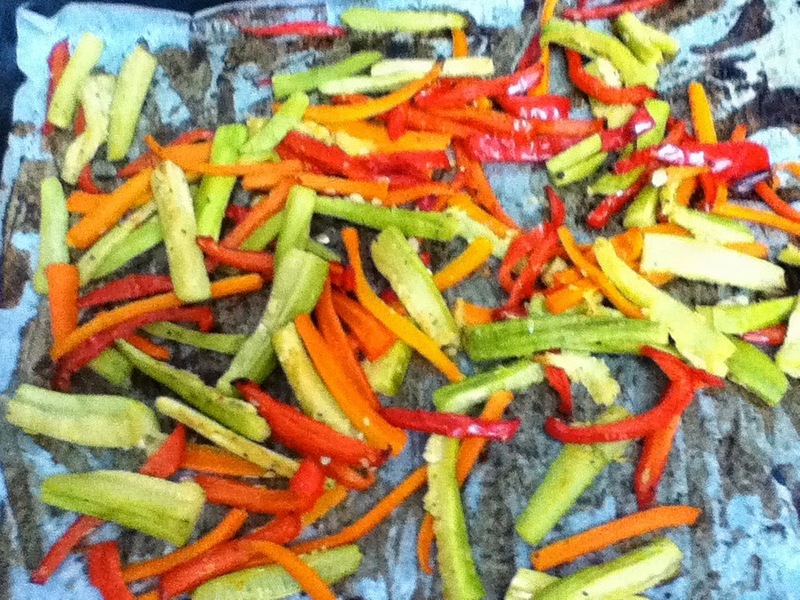 any vegetables you like, I used red peppers, zucchinis, and carrots. Cut into french fry shapes. spices of choice, I used Mrs. Dash garlic and herb blend. Preheat oven to 375F. 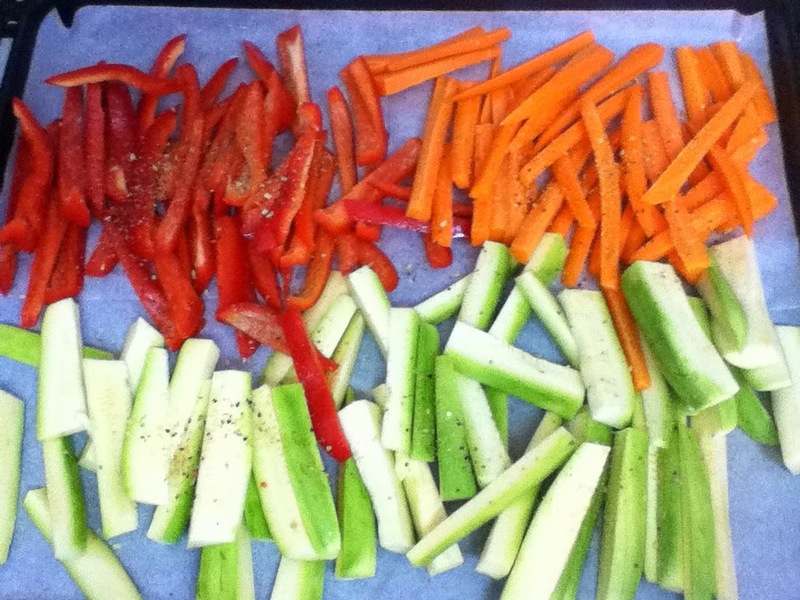 Place your vegetables on a sheet of baking paper. Spray with oil and shake on spices. Give a toss and bake for 45 minutes or until cooked through. 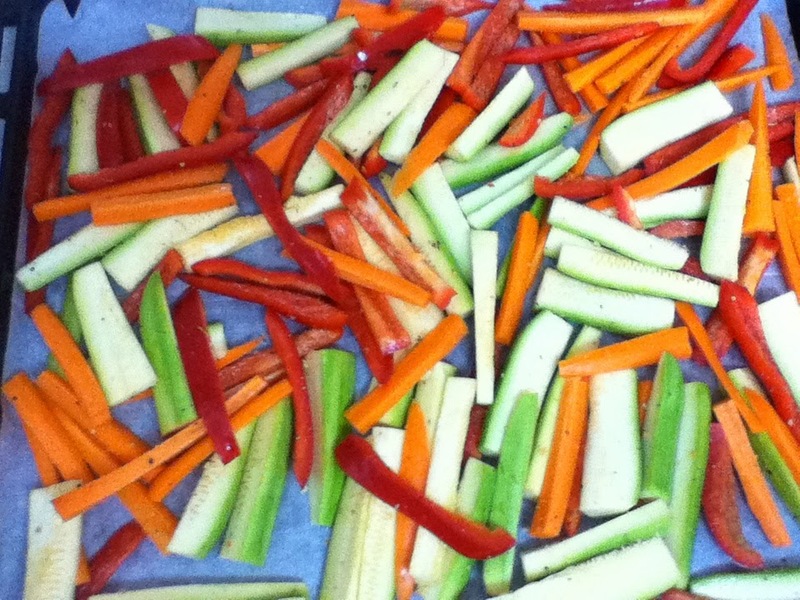 Every so often be sure to give the vegetables a stir so they get evenly cooked. 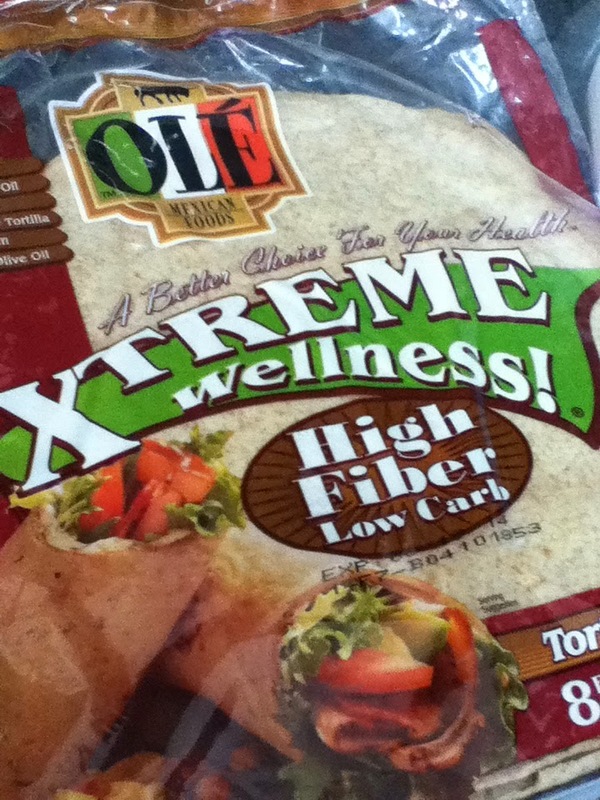 *For the tortilla I used these wraps from Ole. They have whole wheat as well as a high fiber/low carb kind. 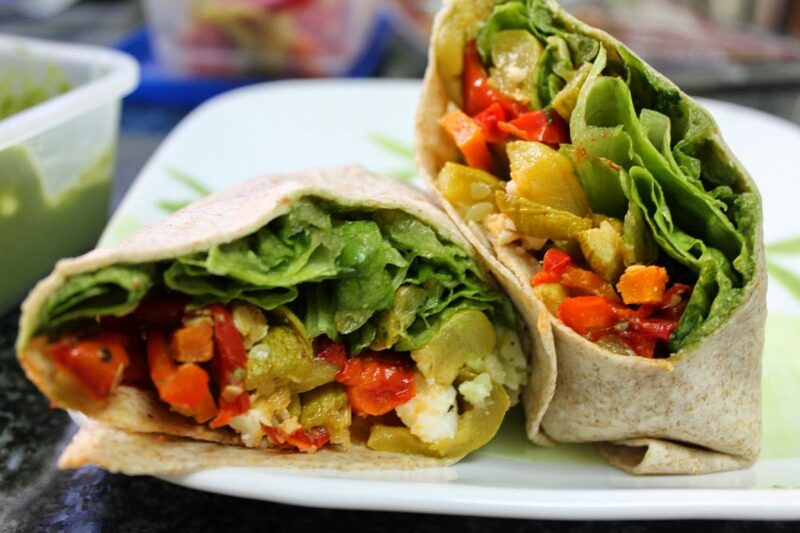 They are delicious and if you do not have time to make your own wraps, they are a great option. 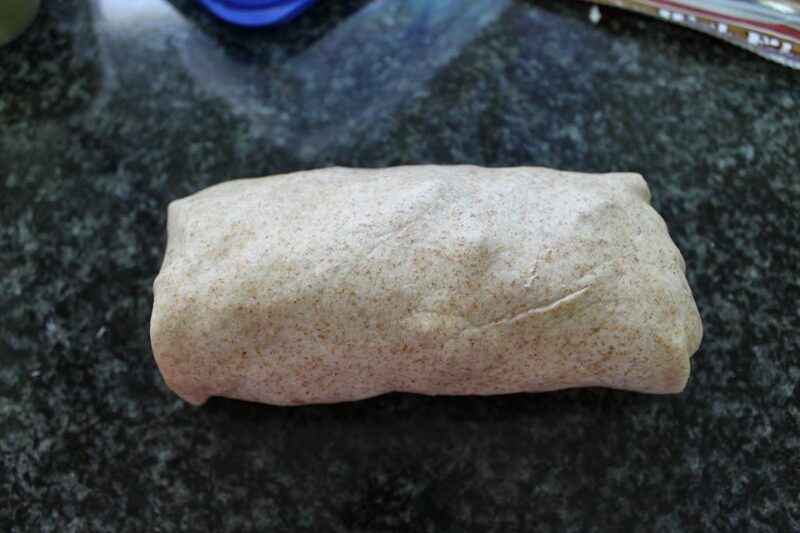 To assemble the wraps. Place some pesto on the open tortilla. 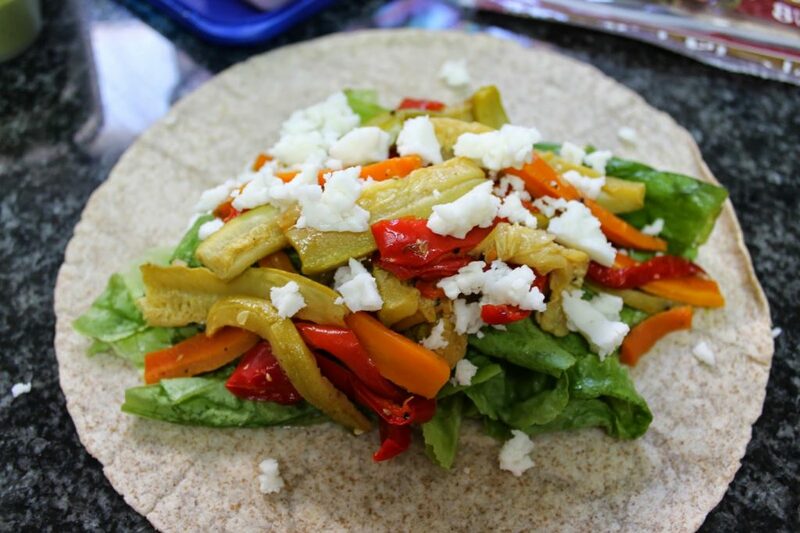 Top with grilled veggies and sprinkle some feta cheese on top, if using. Roll up and enjoy! I like to add some crunch to this so I usually add some romaine lettuce and/or bean sprouts. The feta cheese is optional, but using it will add more creaminess and a salty kick, that I enjoy. This recipe will make enough pesto for more than one wrap. Also, depending on the amount of vegetables you use, you will have more for another meal. 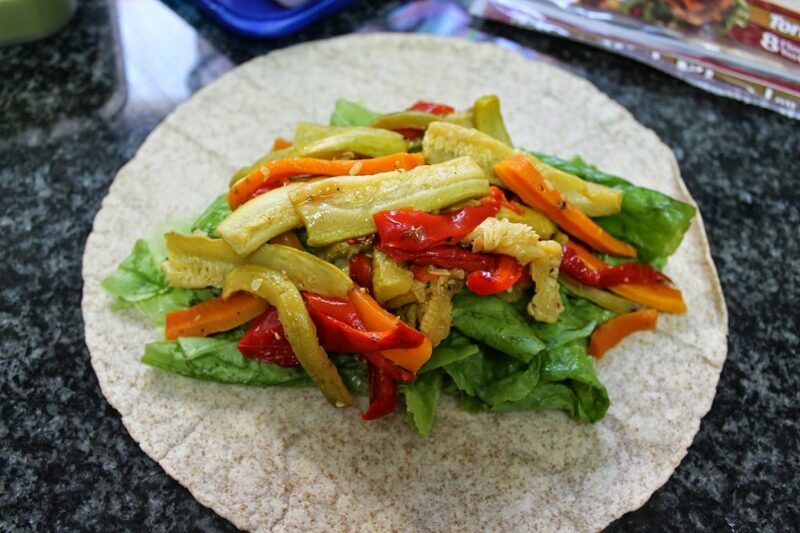 Just save it in the fridge and make your wrap easily either with the cold vegetables (great too) or give them a few seconds in the microwave to warm up before making your wrap. The info for week 4 will be posted within the next few days. Sorry for the delay! Yum! I want to try this with grilled chicken instead of feta! Btw, i love your easy step by step instructions.i find ur writing so down to earth and doable! That sounds like a great idea. Thanks so much, I am glad you enjoy my blog! !